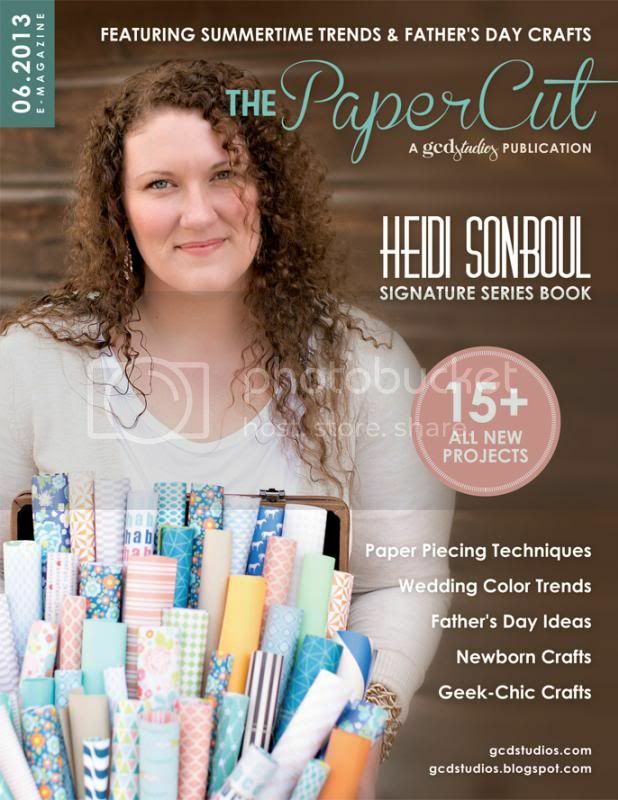 The newest issue of The Paper Cut is out, and our very own Heidi Sonboul is the covergirl. Inside you'll find a fun little Q&A that will allow you to get to know Heidi a little more. There are a ton of inspiring projects inside! Ideas for father's day, babies, weddings, and more! I'm on page 19 with this fun little layout using Pure Bliss. This is the 'introductory' page to my daughter's baby book. To see the full write up about this layout - check out the magazine! Thanks for stopping by! Happy Friday! That is an adorable layout! Not familiar with this publication, I'll have to check it out. Awe such a cutie baby girl, I imagine that book is a treasure for both you and here. All contents of this blog is copyright © 2011-2014 by Christina Collins. All rights reserved. Powered by Blogger.